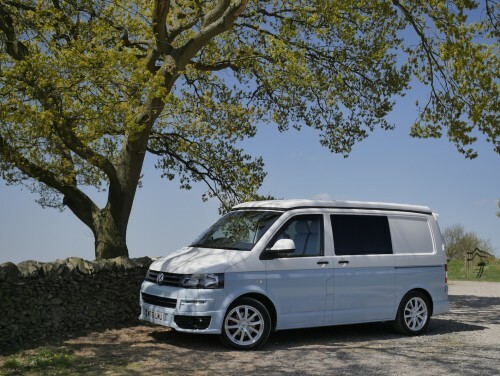 Campervans that can be hired across the county, including from their bases in Coalville, Hinckley, Lutterworth, Melton Mowbray	Leicester and Loughborough. Leicestershire VW camper van owners hire their vans to people that make enquiries using the Camperbug messaging system. I am Chyllis, hire me today! Outstanding recently converted Volkswagen T5 Campervan. Fully equipped, sleeps up to four people. Stylish VW T5 campervan, short wheel base, 102 diesel. Van has electric windows and 5 travelling seats. Fridge freezer, 2 ring hob and sink, full electric leisure system and porta portti. Lovely white 2015 VW California. Please get in touch about our amazing factory fitted cali, with everything you need to have a great camping trip. Included is the awning, privacy glass there are front and rear parking sensors, this is a state of the art camper.